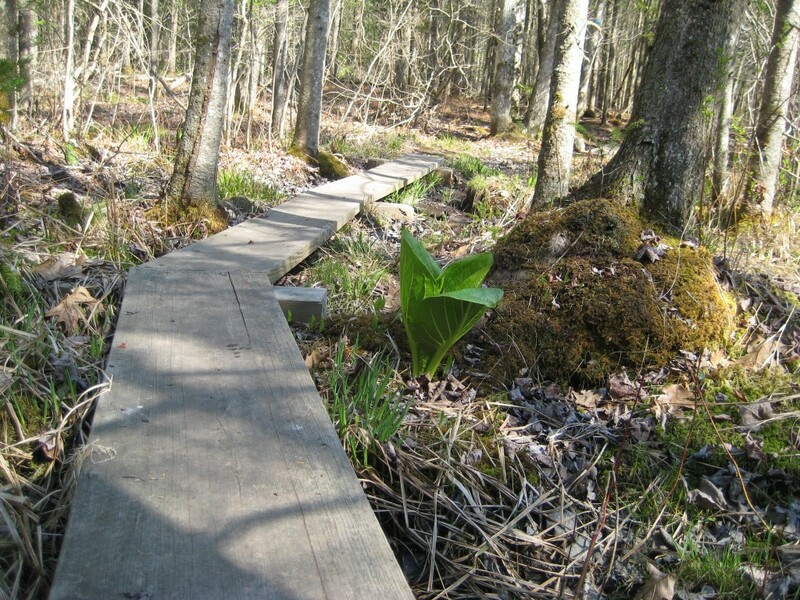 The Thomaston Town Forest Trail passes through the 500-acre town forest that lies to the east of the Oyster River. 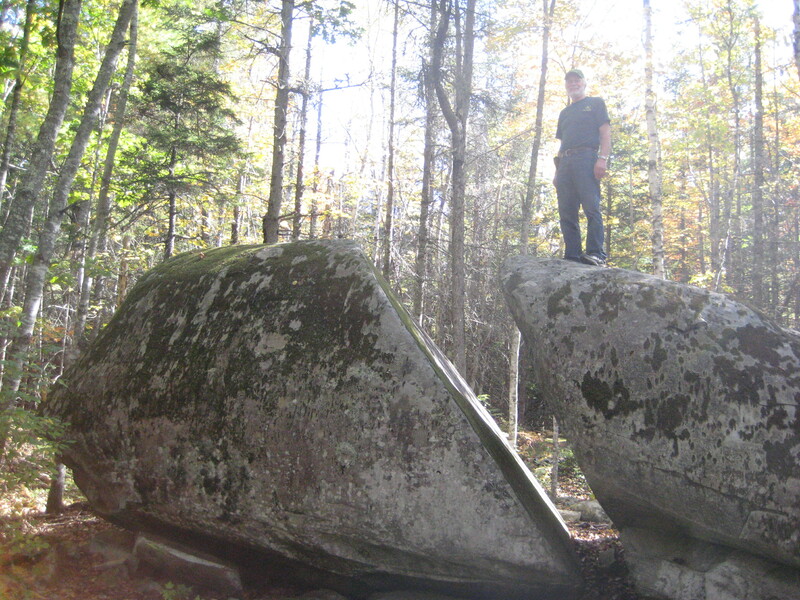 The trail passes through an area harvested for timber (2011-12), provides excellent views of the Oyster River, and brings hikers to Split Rock for a close look at this huge glacial erratic. The trail offers mostly level hiking through mixed and coniferous woods which provide habitat for deer, wild turkey, and moose. 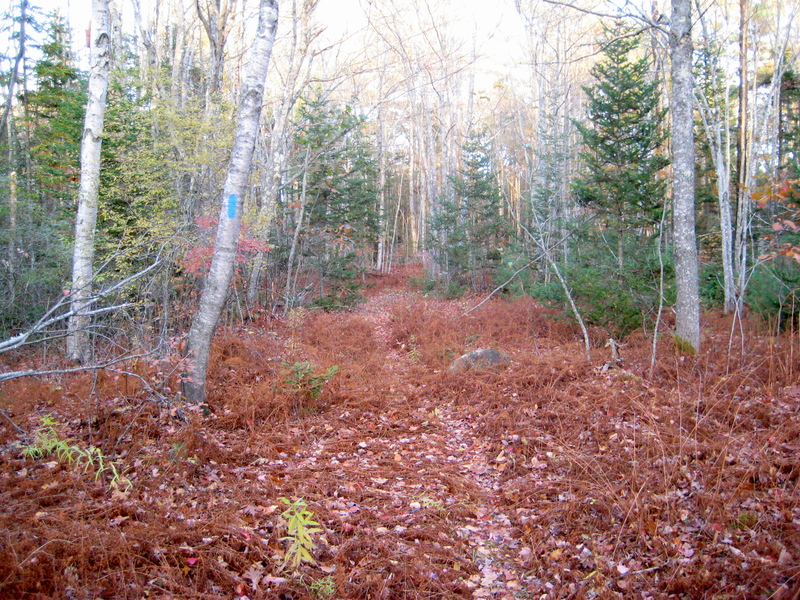 The combination of the Oyster River Bog and Thomaston Town Forest sections of the Georges Highland Path provide a continuous 11-mile hiking experience that connects Route 1 in Thomaston to Route 90 in Rockport. Parking at the northern end of the trail (Jack Baker Woods lot) is on Beechwood Street in Thomaston. From the Route 1 stoplight in the center of Thomaston, head north on Beechwood Street for two miles. The Jack Baker Woods parking lot is on the left at the Georges Highland Path trailhead sign (see map). There are two parking areas available at the southern end of the trail. One is at the Thomaston Pollution Control Plant at the end of Booker Street, off Route 1 (see map). The second is at the water tower, along a dirt road off Route 1 across from the Strong Insurance Agency (see map).